SunPower’s survival hasn’t been just a matter of smart moves by company executives; key parts of the success story include luck, and good timing. 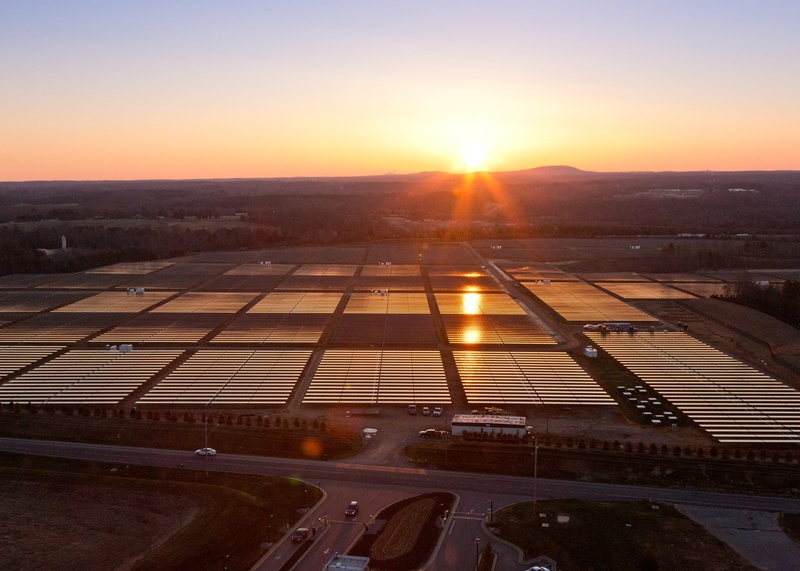 But of course, persistence and hard effort, of the company’s employees through difficult times has been a defining factor of getting SunPower to where it is today: a leader that’s righting itself in a tough solar market. 1). The solar industry can be brutal: If you’re going to enter the solar sector, you should know how hard it is, says Swanson. There are a variety of reasons for this including: the industry is extremely cost sensitive, the manufacturing process has to be at such a large scale to be cost competitive, manufacturing at that scale is expensive, solar panels have to live in an environment for twenty years which is hard to deliver, the solar systems have to be bankable which takes time to deliver, and the risks are very high for scaling up new solar manufacturing technologies. 2). Solar is mostly a cost problem: The solar industry lives and dies by its costs. In the 70’s and 80’s Swanson did studies on the costs of solar systems, and this is where the idea for SunPower — to make more efficient cells — emerged. If solar startups are wrong about their costs even by a very small amount in the beginning of their lives, they’re toast, says Swanson. Solar costs are also a constantly moving target because they are dropping precipitously — or changing because of macro economics — and a change in one year can upend an entire business plans. It’s particularly hard for solar startups because in the commercialization process there’s a long time to the first cash flow. 3). 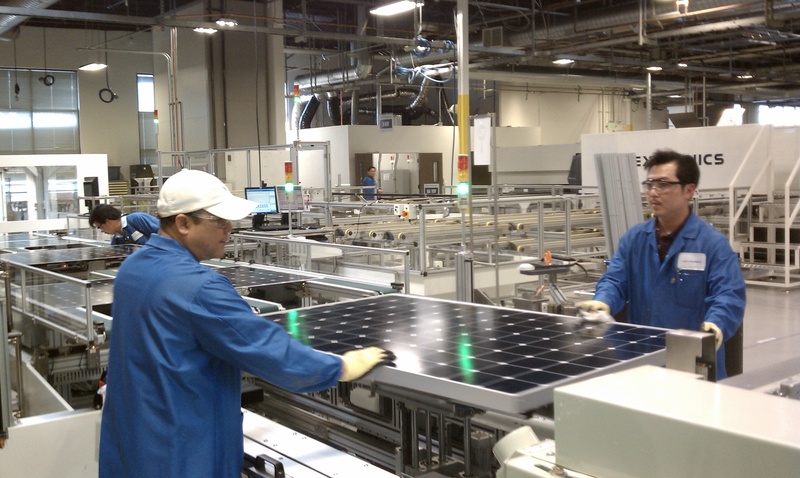 Know when to pivot: SunPower didn’t start out as a solar module maker and installer. Back in the day, Swanson founded the company intent on making products for the concentrating solar photovoltaic market (called CPV now). He later realized that was a bad way to go. There was a several year period where SunPower also made and sold solar cells for space companies, solar tech for planes, and even tech for infrared data devices (which was later displaced by bluetooth). During his talk at Stanford, Swanson joked about a record he enjoyed throughout that period: the largest amount of consumer items that had ever been made that nobody ever used. 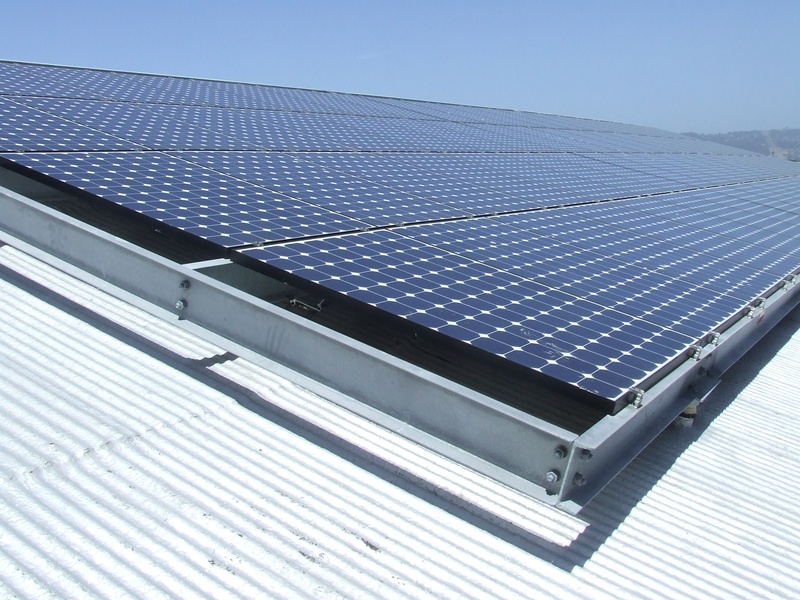 It wasn’t until the SunPower team worked on a project shortly before 2001 to reduce the costs of the efficient solar cells for its concentrating solar systems that the company realized that it could compete directly in the solar PV (panels) market. Swanson went out fund raising in 2001 on that business plan idea. 4). Know the market you’re selling into: Swanson says that in that early period (early 90’s to 2000) the times that SunPower got the most burned was when it tried to sell into a market it didn’t know. For example, for awhile SunPower was developing solar cells for NASA for communications planes that NASA said would be ubiquitous and displace cell phone towers. Of course that was a pipe dream and the sales of the planes never materialized. Another time was when it tried to make and sell solar cells for space applications. Swanson says SunPower spent $6 million on developing a space solar cell, that was never widely sold. 5). Strategic big company partners are crucial for new energy tech: Swanson refers to the time at SunPower before it partnered with Cypress Semiconductor (s CY) as “SunPower BC.” Cypress was a key to SunPower’s survival. Later on in SunPower’s life oil company Total also became a critical owning partner. SunPower couldn’t have made it without these partners, says Swanson. 6). Be ready for luck: SunPower’s connection to Cypress was pretty lucky. Swanson met with the then-CEO of the company — TJ Rodgers — who wrote Swanson a personal check for $750,000 to keep the company afloat. Cypress later invested in SunPower — to the tune of $150 million — and the connection with Cypress, and its chip manufacturing know how, ended up being a fundamental part of SunPower’s success. But when Rodgers made the investment, SunPower didn’t know yet even know if it could build its efficient solar cells at scale. “He was really rolling the dice. That was a bold move. Though, he ended up making a lot of money from it,” says Swanson. 7). Do whatever it takes: Swanson said that being willing to do whatever it took to survive and thrive was a key to success for SunPower, as well. For example, SunPower opened up its first large solar cell factory in the Philippines and moved its entire engineering team there. A lot of the team didn’t want to do that, but Swanson says SunPower had to move manufacturing to a low cost place over seas to survive. When I hear founders say they insist on doing manufacturing in the U.S., I know they immediately don’t have what it takes, said Swanson. Another hurdle was the polarization problem, that SunPower faced when it was about to go public. Some of the panels that were already on the market were leaking current. SunPower engineers didn’t rest for months until the problem was discovered and fixed, said Swanson. 8). Timing is everything: When SunPower went public it caught a wave of the first global investors just discovering the solar energy market. Germany had a couple solar PV companies listed, but the U.S. didn’t. 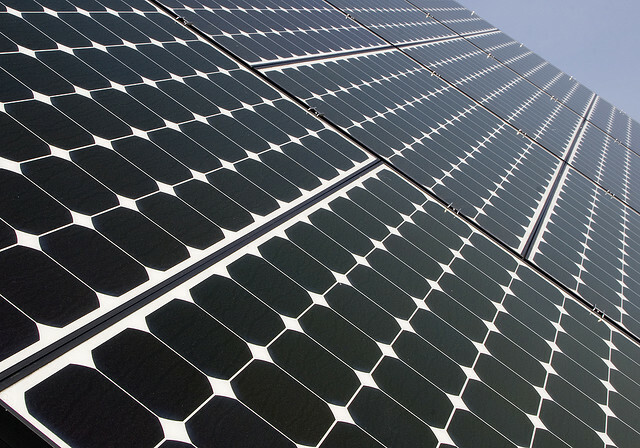 Then between 2005 — when SunPower went public — to 2010, the amount of solar panel installations soared. The amount of demand for solar panels was higher even than the amount that SunPower had predicted. 9). Final word to the wise: There’s massive opportunities in the energy market right now, says Swanson, but just don’t launch a silicon solar startup at this time. The solar industry is difficult enough as it is that having particularly bad market timing, could be a nonstarter. Katie – Great article. As one of the few US entrepreneurs left in the PV technology space, I’m not sure whether I should be inspired or terrified by this story. Probably a little bit of both. But I’m not giving up. Point number nine is probably very sage advice. It does strike me as funny though, coming from the largest manufacturer in the industry’s perspective. You would expect him to say “Sure, jump on in here and compete with us” now, wouldn’t you? The solar industry is just starting to come out of a horrible oversupply problem, so it’s going to be very tough to launch a silicon-based startup. You are going to have a hard time finding venture investors.